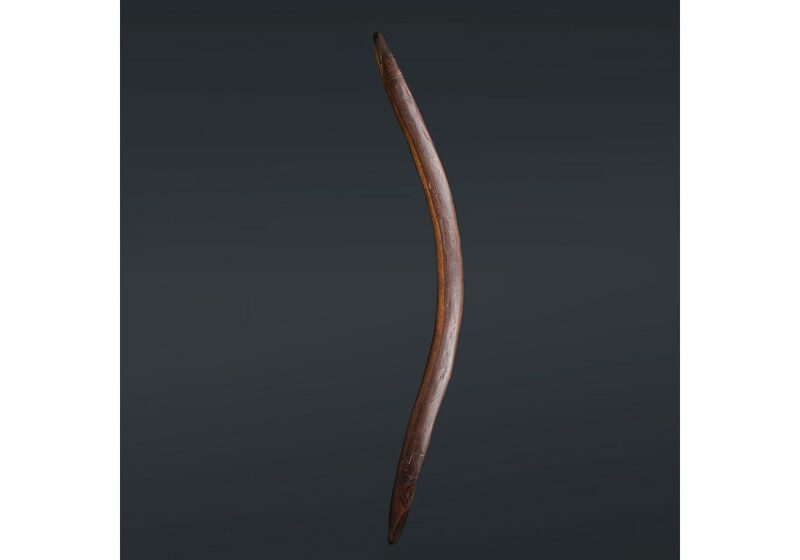 This boomerang is far too lengthy to be thrown. 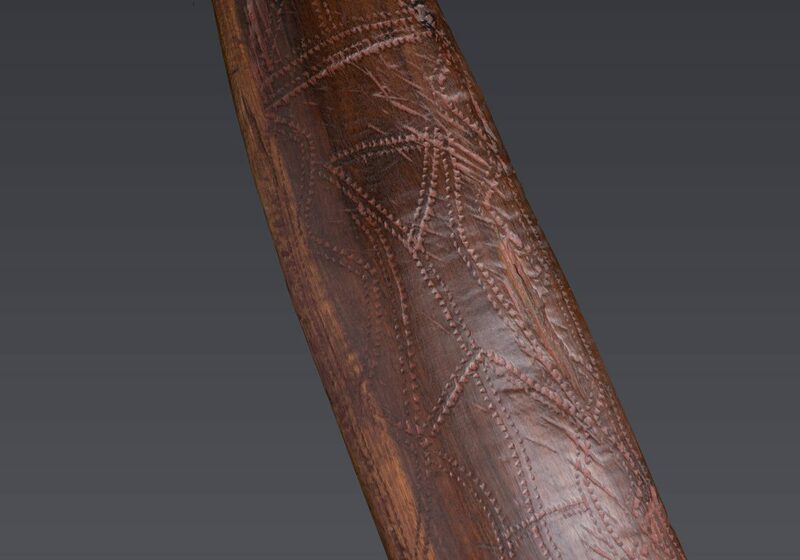 Instead, it would have been used primarily as a weapon in hand-to-hand combat. 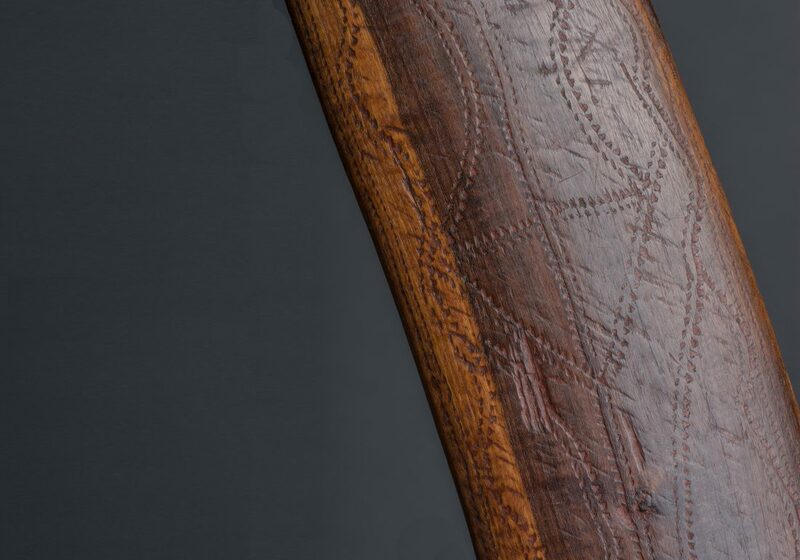 Like almost all objects in Aboriginal culture, it had a great number of other purposes. 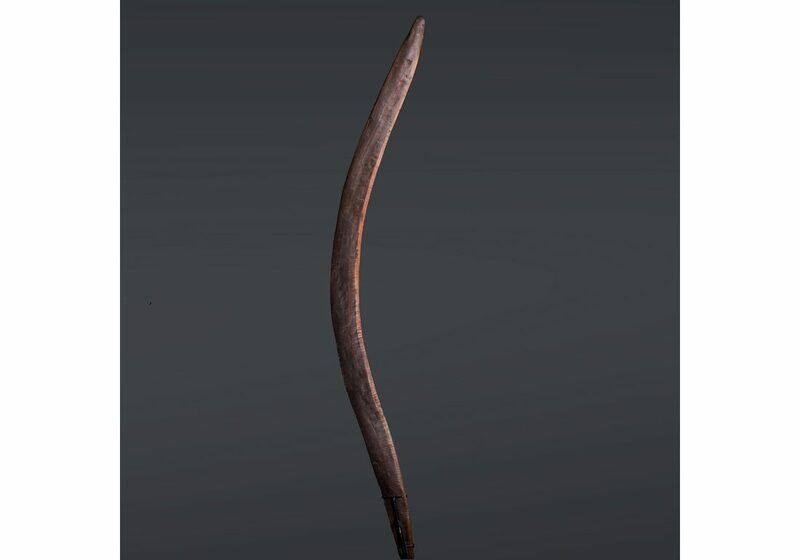 It may have been used as a digging stick, for fire-making, for cleaning grasses and soli to prepare camp sites, or perhaps for ceremonial purposes.